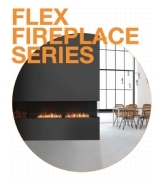 Providing endless design flexibility and installation freedom to interior designers, architects, builders, landscapers and homeowners, EcoSmart’s Flex Fireplace Series ensures your next commercial project or residential renovation includes a captivating fire feature. The iconic zero clearance models – Bay, Single Sided, Left Corner, Right Corner, Peninsula, Double Sided styles– are ventless, free of smoke and soot, and fuelled by e-NRG Bioethanol, a renewable energy source. are endless when you use a Flex Series model. All the fuel is housed within the self-contained burner so you don't have to run pipes or cables through your walls. And because e-NRG bioethanol is clean burning, you don't need a flue or a chimney. Available in black. 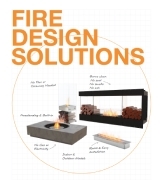 Fireboxes come with stainless steel burners and decorative Black Glass Charcoal. Included integrated wind screen sits flush behind the frame. Zinc sealed steel construction powder caoted with super hi-temp black paint prevents rusting so all fireplaces can be used both indoors or outdoors. Requiring virtually no assembly, Flex Firebox's are designed to be placed into the desired location, secured into position, and operated almost immediately. Self-contained, zero clearance construction provides unlimited installation freedom and flexibility for builders, architects, interior designers, landscapers and homeowners. Our burners are UL Listed and the Flex Series is manufacturer approved for use with the UL Listed burners. All the fuel is safely housed within the self-contained burner, leaving you free from the installation restrictions and costs that come with gas or electricity connections. Customise your fireplace design with a decorative box placed on one or more sides and fill with your chosen non-combustible accessory. Each Flex Fireplace comes with decorative Black Glass Charcoal which is placed in the tray of the firebox around the burner. Every Flex Firebox is manufactured to ISO 9001:2008 standards. An iconic collection of 150 fireplaces. Choose yours in 3 simple steps. The easiest way to start to work out which of the models is best for you, choose if your setting will act as a room divider or a single room application. Pour vous aider à choisir le modèle Flex, déterminez la taille de votre mur/l'espace disponible et la surface d'ouverture idéale pour votre foyer. Now it’s time to decide how you want the viewing area to be configured. Below you’ll see what options are available in the size and style you have selected. 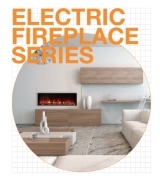 Integrated within cabinetry or a fireplace setting, these UL Listed, true zero clearance single sided fireplace inserts offer the perfect blend of functionality and design aesthetics. Transparent glass on the left corner of this EcoSmart Flex Firebox enables interior designers, homeowners, architects and builders to customise their fire solution according to a specific floor plan. Transparent glass on the right corner of this EcoSmart Flex Firebox enables interior designers, homeowners, architects and builders to customise their fire solution according to a specific floor plan. Bay Fireplaces can be transformed to your liking - customise your fireplace design with a decorative box placed on one or more sides. 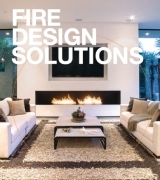 EcoSmart Fire peninsula fireplaces are the focal point of a room - allowing the flame clearly seen from any direction. Providing unobstructed views of EcoSmart’s flickering flame from both sides, Flex DB Firebox’s see-through design injects warmth and ambiance in two adjacent rooms.